7-Nov	Gainesville State School at *Garland Christian Academy 11MDiv. 7-Nov	Temple Holy Trinity at Kerrville Our Lady of the Hills	6MDiv. 7-Nov	Kerrville Our Lady of the Hills vs Temple Holy Trinity	6MDiv. 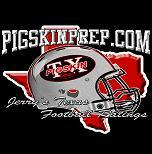 8-Nov	Austin Veritas Academy vs *New Braunfels Christian 6MDiv. 8-Nov	FW Covenant Classical vs *Richardson Canyon Creek	6MDiv.